Who do you think is Australia's Greatest Animal Icon? Which animal do you think best represents Australia and the Australian Spirit? Who do you think is entitled to be called "Australia's Greatest Animal Icon"? 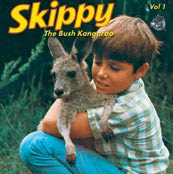 Is it perhaps an obvious choice like Skippy, or maybe the dog that says "bugger" on the TV Commercial for Toyota Hilux? Is it Simpson's Donkey or the Dog on the Tuckerbox? Phar Lap, Mr Percival from Stormboy (my personal favourite!) or Fatso the Wombat from A Country Practice? What about Matilda the Boxing Kangaroo? The staff here at VetShopAustralia have brainstormed a selection of iconic and famous Aussie animals, and now we want you to tell us who you think is number one! Simply cast your vote in the poll on the right hand side of this page and you can also see how others have voted. There was much debate around our morning tea table about who should be on (or off) the list. If you think we should have included some other iconic or famous Australian animal, send us a comment below. The team at VetShopAustralia would also like to take this opportunity to wish you, your family and your pets, a Happy & Safe Australia Day!. What about the Kookaburra sitting on the Old Gum Tree? definately think you should have included Sam the Koala, she won many hearts in Victoria and is a symbol of hope for all those affected by last years terrible bush fires. The photo of her holding the hand of the CFA volunteer while she drank from his bottle of water is deeply etched into people's hearts and can still bring a tear to one's eye. Hi Anonymous, you are right, in that Sam the Koala really did capture our hearts.